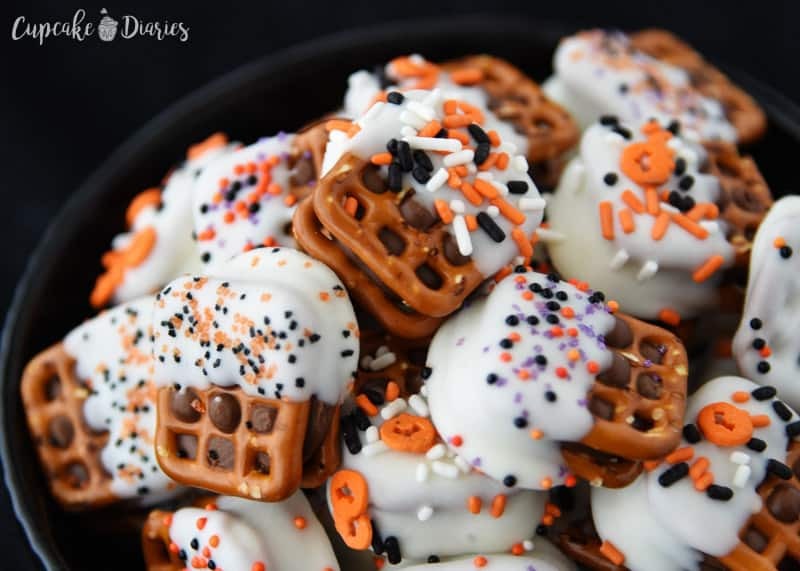 You only need three ingredients to make these salty, sweet, and chewy Halloween Caramel Pretzel Bites! 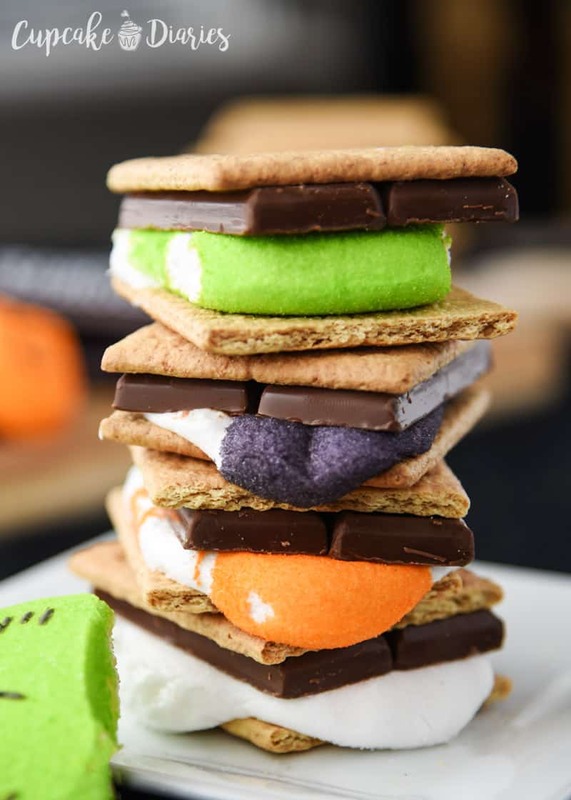 They’re easy and a perfect Halloween treat for neighbors. These holidays, I tell you. They’ve got me all kinds of giddy for parties and fun with family and friends. Making treats like this makes me so excited for all that will be coming up these next few months! And I have to keep reminding myself that Halloween is still six weeks away and not next week like my kids and I really wish. 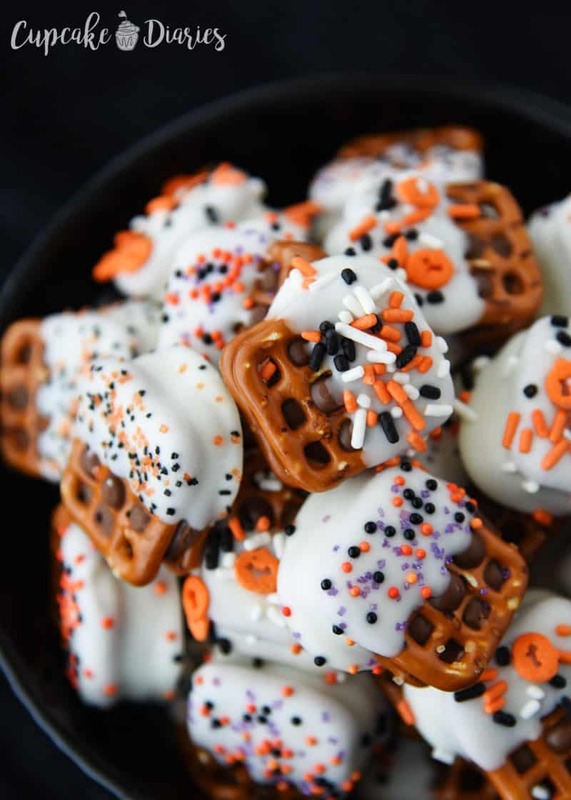 In the meantime, we’re enjoying all the fun and festive treats coming out of our kitchen, including these Halloween Caramel Pretzel Bites. Halloween can’t come fast enough! 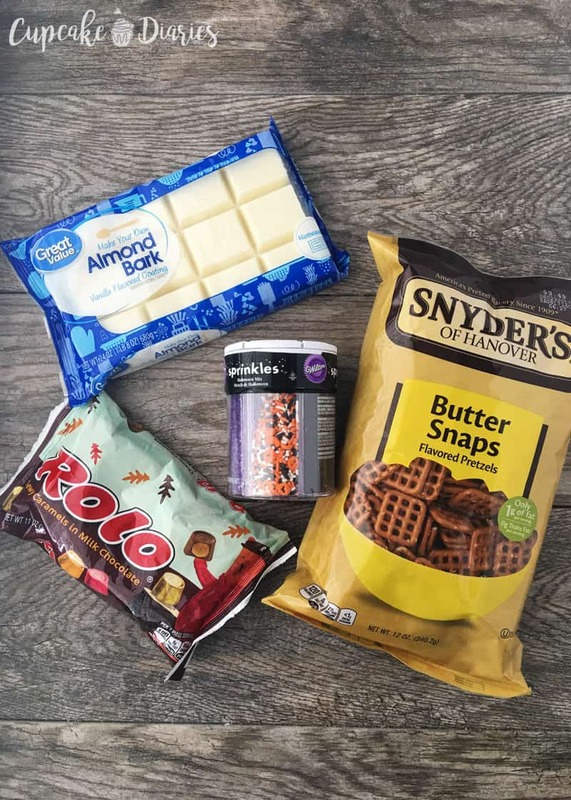 All the ingredients you need for these little treats is what you see above. Only three ingredients, plus sprinkles! 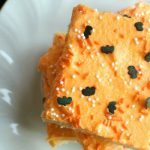 I love an easy treat for Halloween. The kids loved helping me put these together. 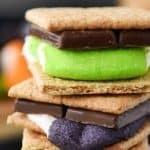 They’re so easy to make and take less than an hour from start to finish. Yes, that includes all that chocolate cooling! It’s a beautiful thing. 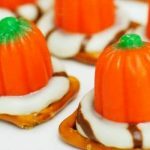 These little bites are wonderfully delicious and have great textures going on with the crunchy pretzel and the chewy Rolo. They’re fantastic! 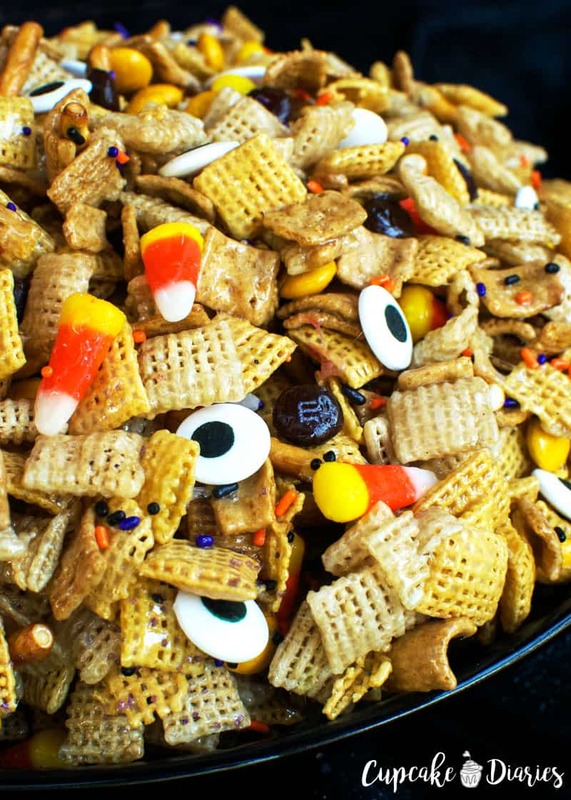 These would be great to package up for a friend this Halloween. 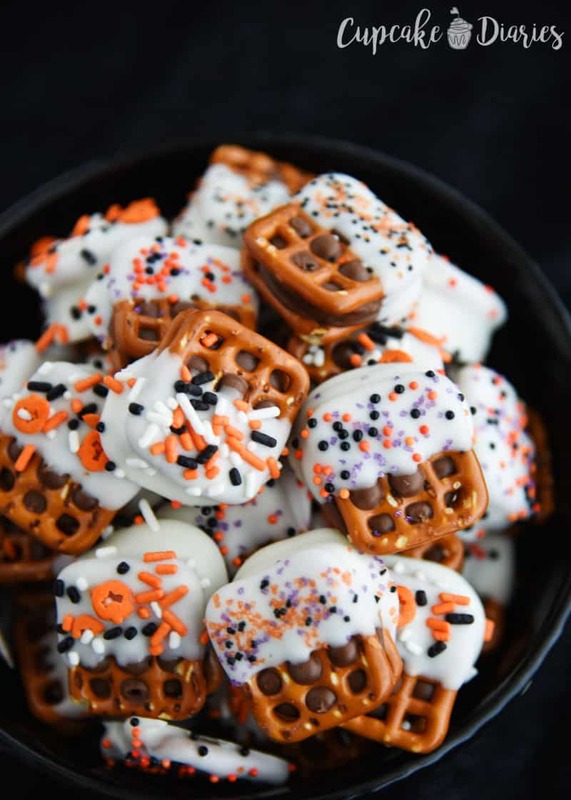 You only need three ingredients to make these salty, sweet, and chewy Halloween Caramel Pretzel Bites! 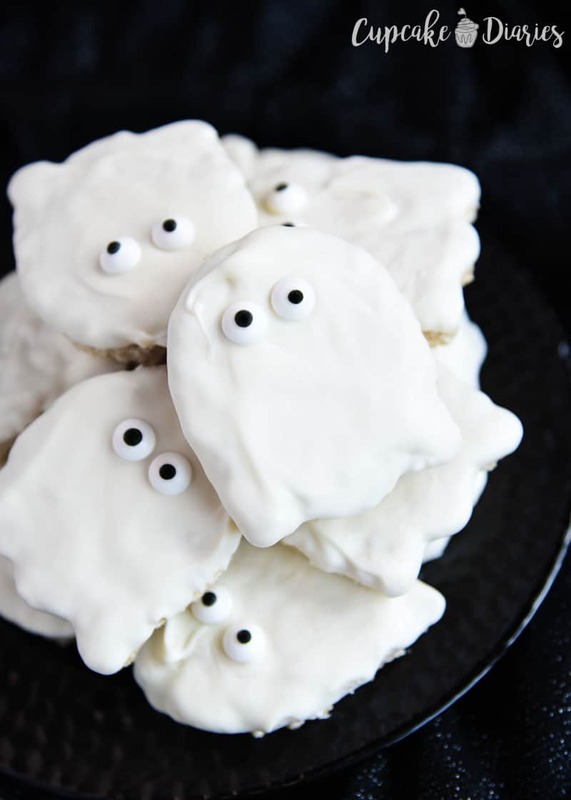 They're easy and a perfect Halloween treat for neighbors. 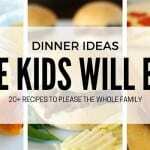 Place a sheet of parchment paper over a cookie sheet. Place 30 butter snap pretzels on top of the cookie sheet. Cover each pretzel with a Rolo candy. Preheat the oven to 250° F. Place cookie sheet in the oven for 3 minutes to soften Rolos. Remove from the oven and cover each Rolo pretzel with another pretzel, like a sandwich. Place in the fridge to cool completely. Heat almond bark according to package directions until melted. Dip each pretzel bite halfway into the almond bark. Dip two or three times to give it a nice coating. 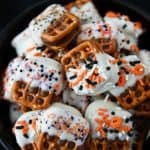 Place on the parchment paper and repeat with five or six pretzel bites. 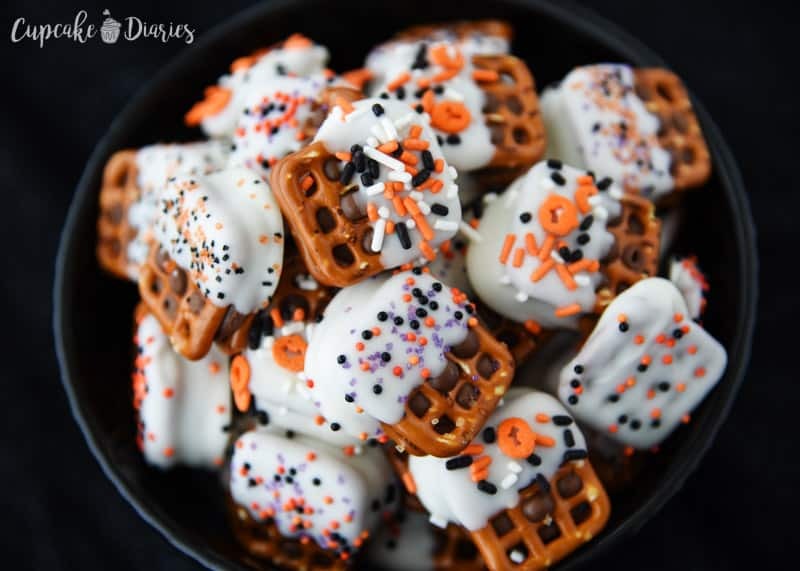 Add sprinkles and repeat the dunking and sprinkle process with remaining pretzel bites. Cool completely and serve. 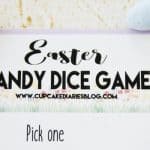 I hope you enjoy this easy Halloween treat! Come back tomorrow to check out the next recipe in the 2017 Halloween series! 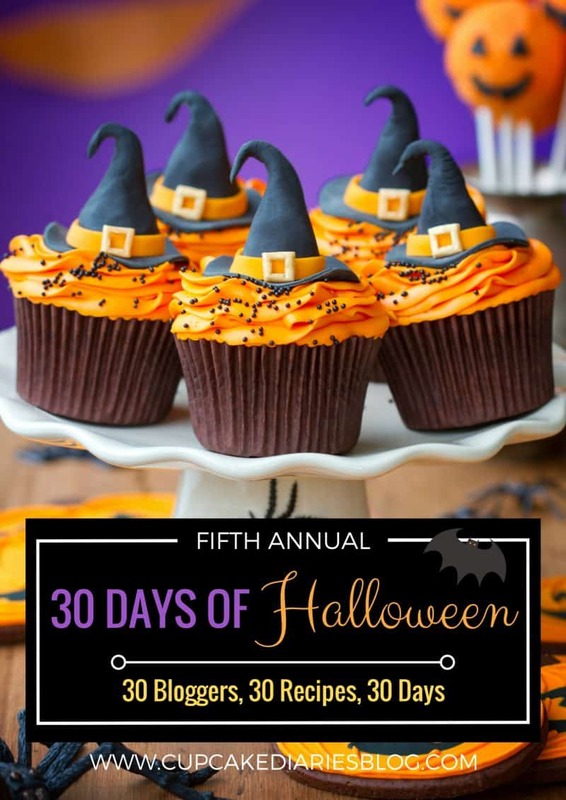 This recipe is part of “30 Days of Halloween” 2017 here at Cupcake Diaries. 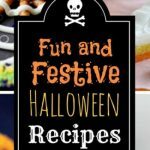 Take a look below at the other fun and festive recipes featured in this year’s series! This post contains affiliate links. 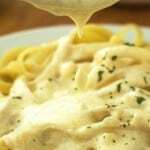 I include these links to help you find the products that I used in the recipe. 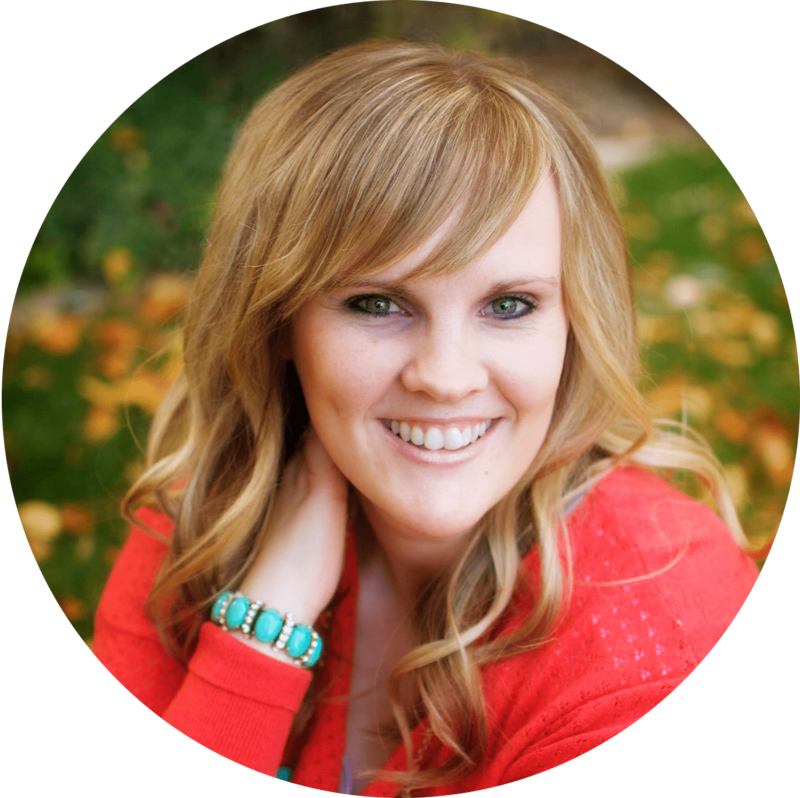 If you purchase an item from the link, I will receive a small commission helping keep my recipes free for you. Thank you for your support!